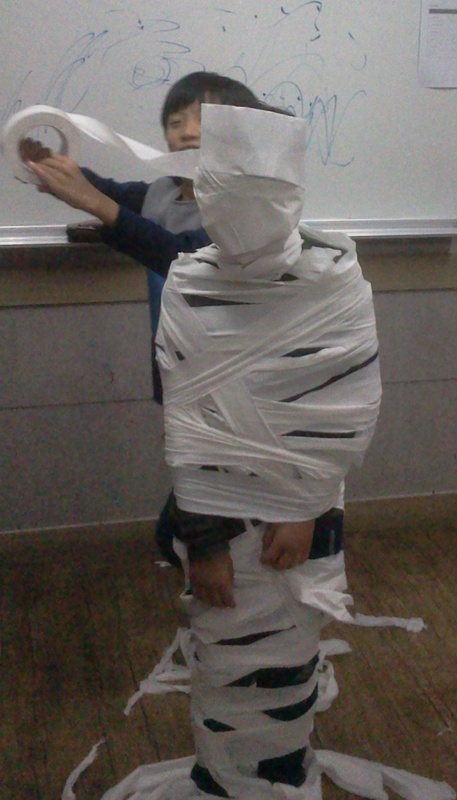 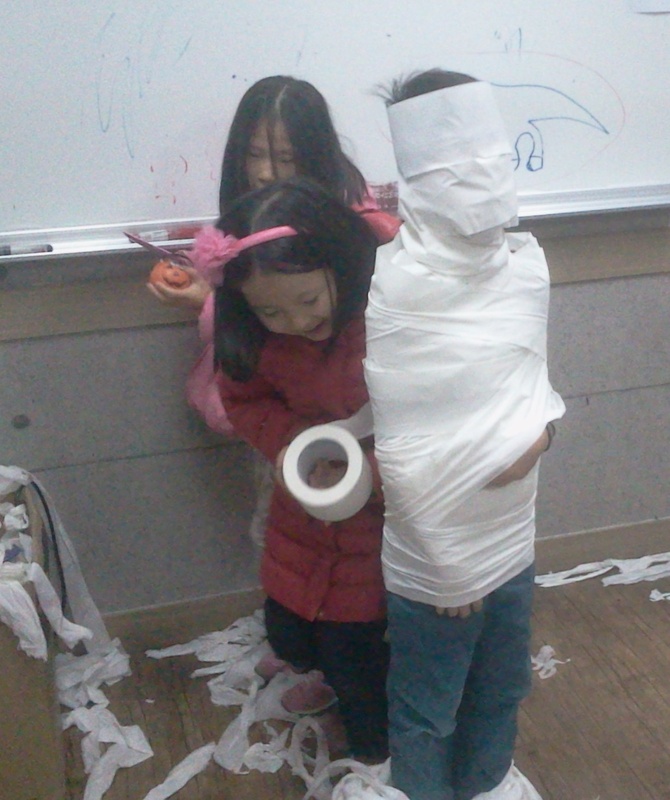 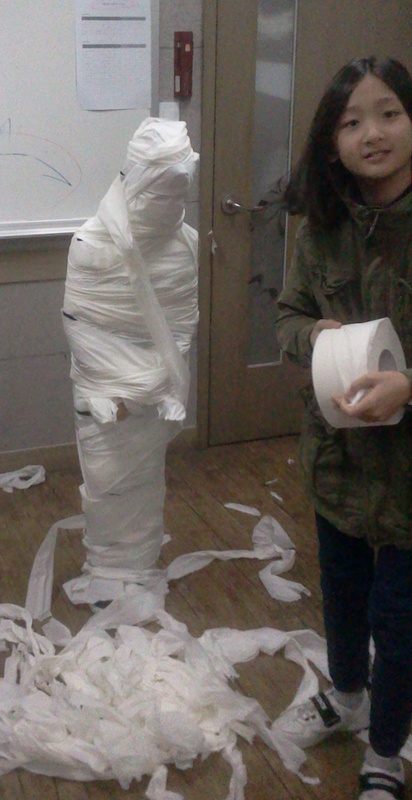 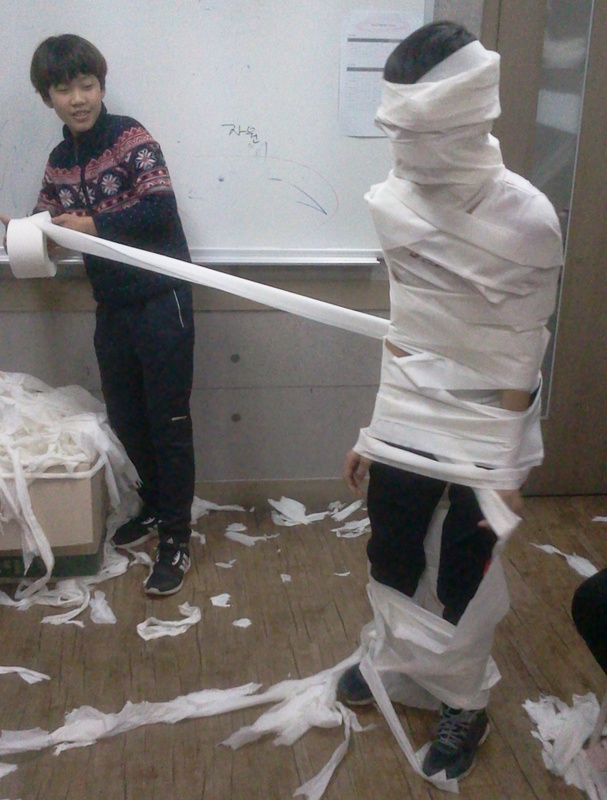 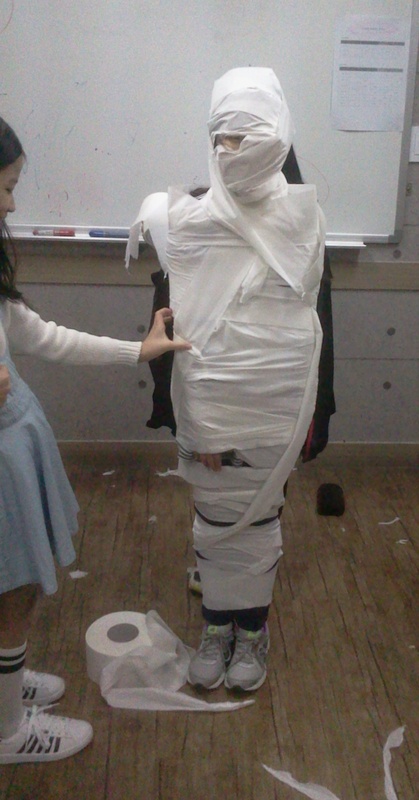 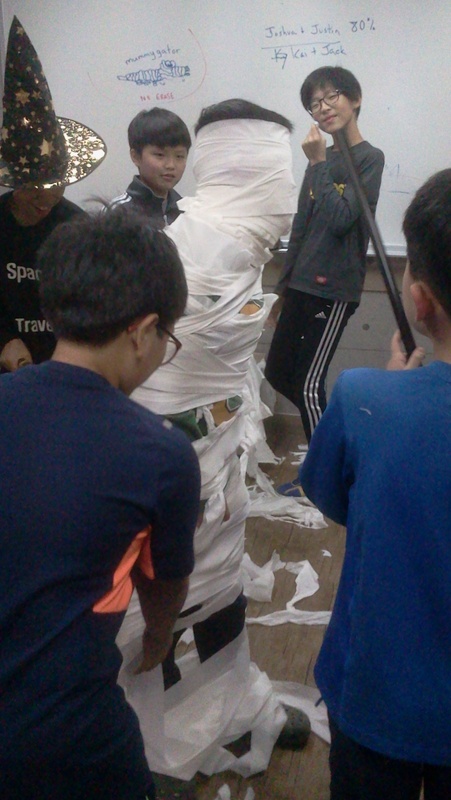 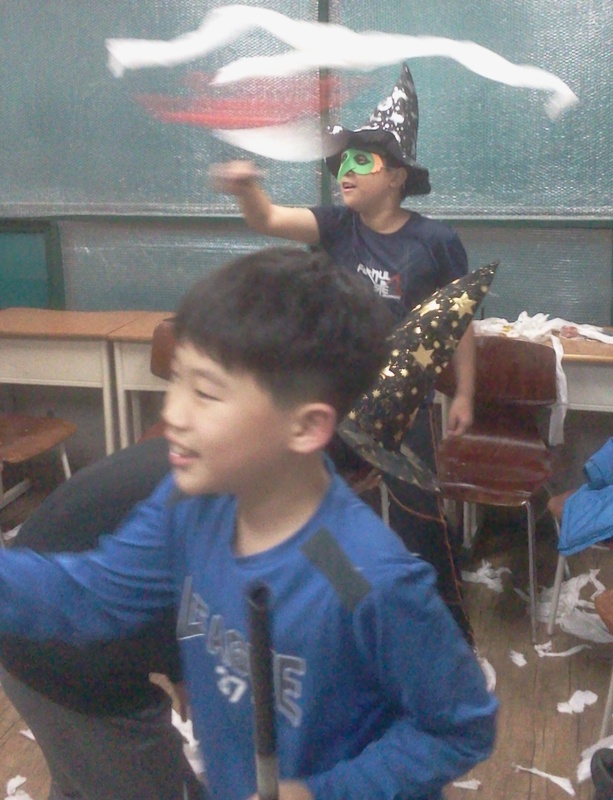 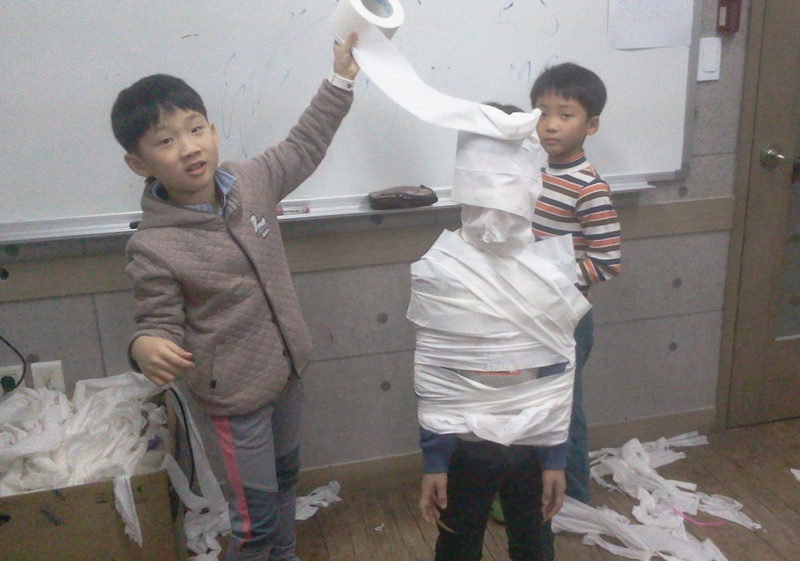 Last year for Halloween we had a mummy-making game. 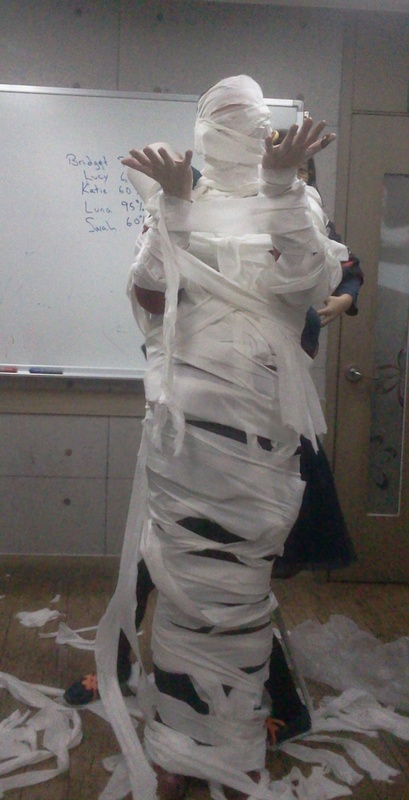 It was successful, so we had it again for our Halloween party last night. 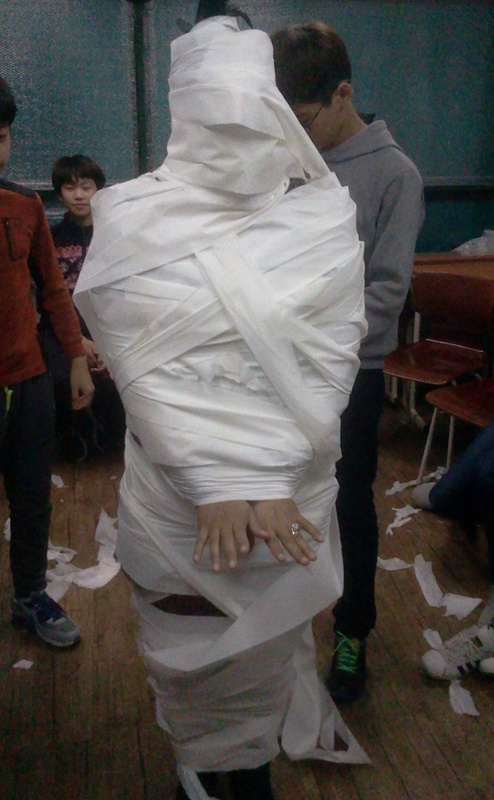 It went well. 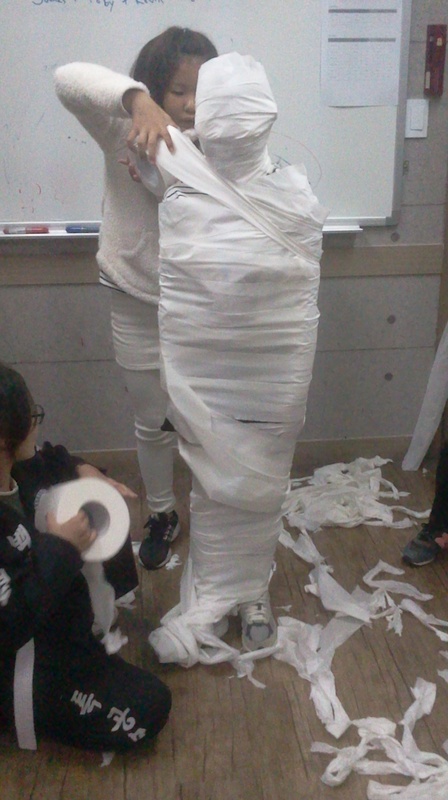 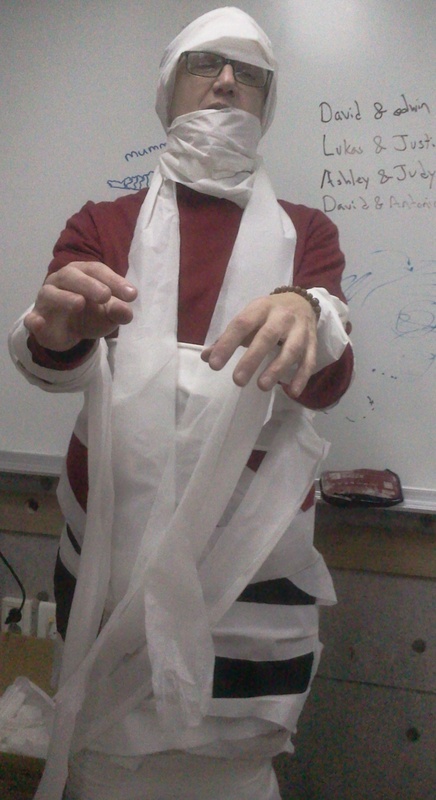 This year, a coworker and I were mummified, too. 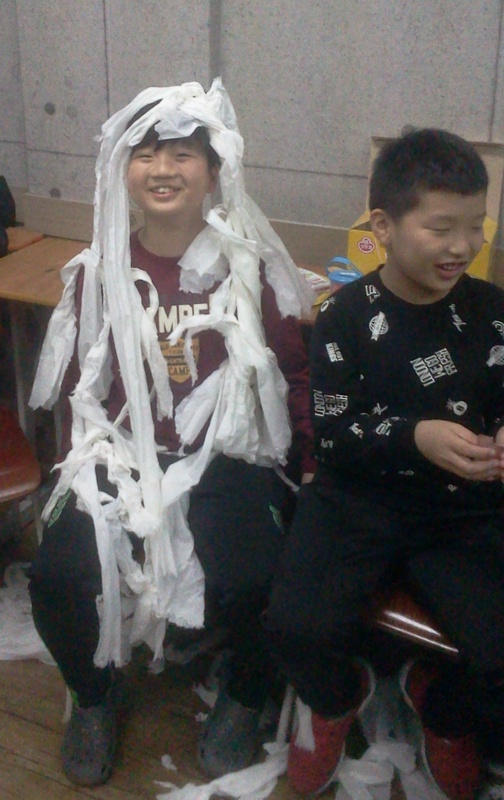 Can you tell which ones are us?